Dress to impress with the Neiman Marcus collection of designer fur coats, designer fur jackets, and luxury furs. Explore our elegant collection of women’s luxury furs and find the right statement-making piece for you. We offer a variety of styles you can easily shop from by size, color, and type. 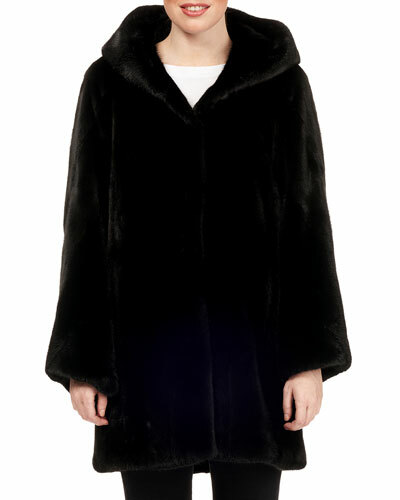 From classic looks to fashion forward styles, our selection of designer fur coats will help you make an impression. Create your perfect look with our designer fur coats and designer fur jackets. Make a bold statement and get noticed with our stunning selection of luxury furs. 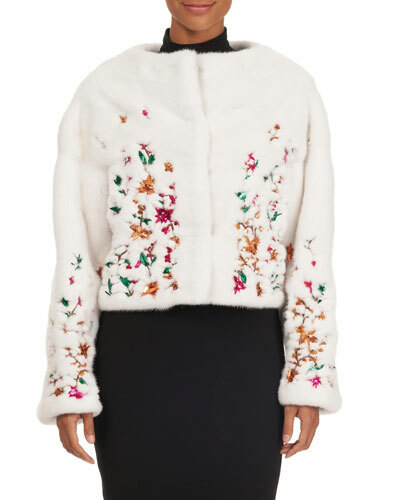 Shop Neiman Marcus’ fine selection of luxury furs, designer fur coats, designer fur jackets, and much more. Belle Fare baseball jacket in dyed lamb shearling (Spain) with star details. Approx. 21"L from shoulder to hem (size M). CALVIN KLEIN 205W39NYC single-breasted coat. Notched lapels; hidden 3-button front. Long, rounded sleeves. Four-button cuffs. Side flap pockets. Straight fit. CALVIN KLEIN 205W39NYC single-breasted coat. Notched lapels; hidden 3-button front. Long, rounded sleeves. Four-button cuffs. Side flap pockets. Straight fit. Knee-length. Polyester. Made in Italy. Model's measurements: Height 5'11"/180cm, bust 33"/84cm, waist 24.5"/62cm, hips 34"/86cm, dress size US 2.